It is hard to say exactly how Oblate Youth Australia (OYA) and all its facets have come to be. It seems that from small seeds of inspiration and hope, the elements which comprise OYA have all simply fallen into place and OYA has grown, thanks to God and the courage and faith of many young people throughout Australia. In 2000, Fr Christian Fini OMI, then a student at St Mary’s Seminary in Victoria, was asked to work with the youth of St John Vianney’s Parish, VIC. He established a youth group which became known as ‘Youth Coming Together’. Later that year, Fr Christian took a group of 12 young people from the parish away on a three day camp to Dromana, VIC. The following year (2001), Fr Christian was ordained and sent to work in Mary Immaculate Parish in Eagle Vale, NSW, where he established another youth group also known as ‘Youth Coming Together’. It was in his time at Eagle Vale that Fr Christian gained particular support from Loretta Brinkman, a member of the parish, and Daniel Kelly, who was involved with the initial ‘Youth Coming Together’ group at St. John Vianney’s, Vic. Both Loretta and Daniel have been instrumental in helping Fr Christian develop Oblate Youth Australia, both in its infancy and throughout its growth, from localised and isolated youth communities to a united, national community of faith. In 2001, together they decided to take on the challenge of organising a second ‘Youth Coming Together’ end-of-year camp. After some discussion with St John Vianney’s Parish, the idea of a joint camp in Sydney was suggested and the Victorians made a great leap of faith, courage and financial commitment to attend the ‘Youth Coming Together Camp’ in Gerroa NSW. 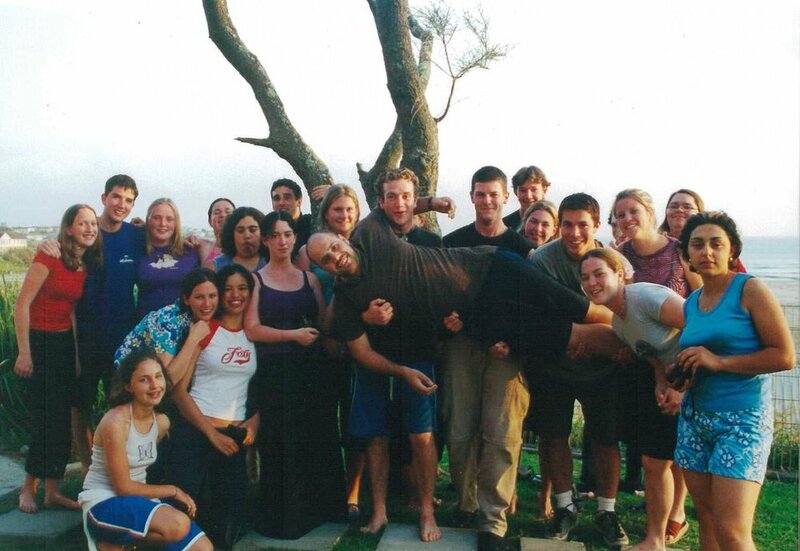 This 2001 camp hosted 26 young people in total from the two parishes. The success of this camp meant that the ‘Youth Coming Together Camp’ in 2002 increased to 40 young attendees, with a further two Oblate parishes joining the experience - Immaculate Conception in Sunshine, VIC, and St David’s in Tea Tree Gully, SA. 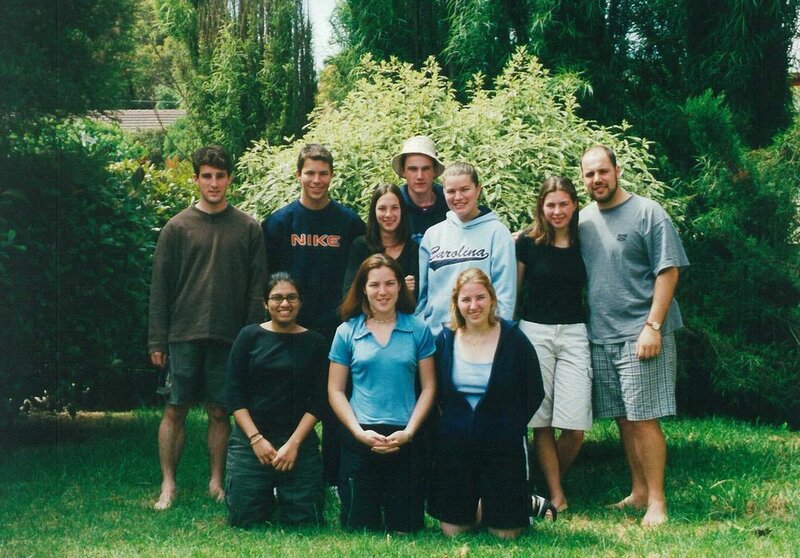 From the incredible experience of the 'Youth Coming Together' camp in 2002, two instrumental developments occurred which were to shape our future; the name ‘Oblate Youth Australia’ was adopted and a website was developed as a place of meeting, sharing and continuing the spirit and community of the camp. The website was officially launched on 1 March 2003. The site facilitated regular Thursday night online meetings and made it possible for the group to contend with the problem of distance between the Oblate Youth communities in different states and areas. . In October, the official OYA logo was adopted. In 2003, the difficult and risky decision to change the camp’s location to the mountainous area of Fitzroy Falls, NSW, proved to be the right one. With 70 young people and 4 Oblates attending, the advantage of the new site was clear, as more than 20 people would have missed out if the camp had remained at Gerroa. With the move, also came a change in the name of the experience, to the National Oblate Youth Encounter (NOYE). NOYE has run every year since. In 2004 the year began with the development of an Oblate Youth Australia Lenten program and a May Program to celebrate Oblate Week. The success of this program led to the continuation of these special occasions each year and the introduction of regular weekly material provided for local OYA communities called “Scripture and Tradition – Reflecting of the Foundations of our Faith”. With the National Oblate Youth Encounter growing in numbers each year, and more and more young people getting involved online, by 2005, OYA communities were established in five states, with the newest additions being Fremantle WA and Iona College QLD. On 1 February 2005, Fr Christian took up a new appointment at St Mary’s Seminary as National Co-ordinator of Youth Ministries and Vocations for the province. On 14 May, 46 people from 3 states gathered for a Pentecost Mass and a meal at the Seminary to mark the official launch of Oblate Youth Central and the adoption of the OYA Framework and Structures document. Pentecost celebrations became an annual event held at Oblate Youth Central at St Mary’s Seminary. It was a home for the young people who identified with the Oblates of Mary Immaculate. It was a place of refuge, a centre of learning, a place of prayer, a centre of discernment, and a centre of spirituality. The Framework and Structures document contains the Leadership Structure, outlining the specific roles of service in OYA, and OYA’s Policy and Procedures which give the community adequate protection and support to sustain its growth. 2005 was also marked by the first of many World Youth Day Pilgrimage's. The OYA group comprised 34 people, who journeyed together for more than 3 weeks on a pilgrimage which took in Italy, France and Germany, where WYD was held in Cologne. A highlight for the group was the international gathering of Oblate Youth in Hünfeld. Upon announcement that Sydney was to host WYD 2008, excitement only grew at the prospect of OYA taking part in the hosting of a similar pre-WYD oblate event on home soil. Another significant undertaking for OYA in 2005 was the development of a youth group for the Resurectionist Parish at Good Shepherd in Brandon Park, Vic. It’s members were affectionately known as OYA’s cousins. After 3 years of intense preparation and planning, 2008 saw the Australian Province hosting the International Oblate Youth Encounter (pre-World Youth Day gathering for Oblates) at Mazenod Victoria. This event saw 800 Oblate Pilgrims from around the world, come together in one place to share in their Oblate charism. The event was an enormous success and a testament to the work put in by the volunteers from the 'Oblate Team'. A group of 80 then travelled to Sydney to join over 500,000 other Catholic's for World Youth Day. In 2010, the National Coordination Team decided that rather than gather at Pentecost, the dinner at OYA Central would be moved to July so the OYA community could join in celebration with the wider Oblate community in Australia. Re-Encounter was established, and saw young people travelling to Melbourne to attend the De Mazenod Family Fundraising Mass & Dinner - an annual fundraising event supporting the Oblate missions both in Australia and abroad. For the first time the National Coordination Team travelled as a group to the Australian Catholic Youth Ministry Conference, hosted by the Wollongong Diocese in New South Wales. The ACYMC provides and opportunity for youth ministers from a variety of contexts and ministries including schools, parishes, diocese, movements, religious orders, communities, organisations and ministry to grow and form in their ministry. It is the largest networking opportunity for Catholic youth ministry in Australia. 2013 saw the very first Australia Catholic Youth Festival, held in Melbourne, VIC. The Australian Catholic Bishop's Conference hosted the event for the young people of Australia, and OYA seized the opportunity to get involved, sending a group of 60 young people. In 2015, Fr Christian took on a new role as rector of Mazenod College in Victoria. Due to his move to the college, and the Oblates moving St. Mary's Seminary from Mulgrave to Camberwell, OYA Central bid farewell to "The Sem" and moved in next door to Mazenod College. For the last 18 years OYA has provided a safe, welcoming, respectful and supportive environment to not only learn and grow in their faith as individuals and as a community. We can't wait to see what the next 18 years has install!! !